Tag Archive | "Loja Ecuador"
Here is a funky Ecuador real estate business idea. The last two messages were part of this three part series on thinking outside the box or Funkiness Thought. If you missed part one or two, see Funky Global Business here. See Funky Business II here. Big problems create big opportunity, One big problem is the rising cost of living in North America. This is why I have been writing about investing in low cost Ecuador real estate for over a decade. When I started sharing this idea 14 or 15 years ago it was WAY out of the box. This has been a great idea but now prices have risen in some of Ecuador’s more popular areas. So we have to work harder to be out of the box in our Ecuador real estate thinking. I recently posted a Loja Ecuador guide at Ecuador Living as a funky business idea. Funky is created by thinking outside the box and as more North Americans move to Ecuador, one place they have missed is Loja. Recently Dario Espinosa placed an advertisement entitled Ecuador Luxury Villa in Loja Ecuador at our site. His ad offered rentals of the luxury Villa Serena. 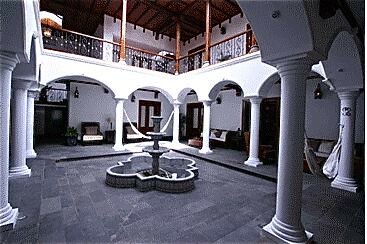 The villa is built around a magnificent courtyard with a fountain and wide corridors. 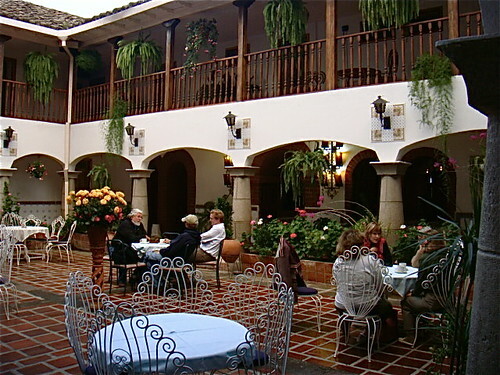 You can see many similarities in the colonial architecture of Villa Serena and our hotel, Meson de las Flores in Cotacachi. I thought… what a funky idea. fix up old places in Loja! So I asked Dario to tell us more about Loja Ecuador. There may be some business potential fixing up property in Ecuador. I know this idea has worked well for Merri and me in Cotacachi where we fixed up our old colonial hotel and Casa Blanca condos. Photograph of Loja, Ecuador by Milton Ramirez. I asked Dario if he would create a Loja Ecuador guide for us. Loja at sunset picture at Tripadvisor. Here is what he shared. Loja a hidden gem in the south of Ecuador. 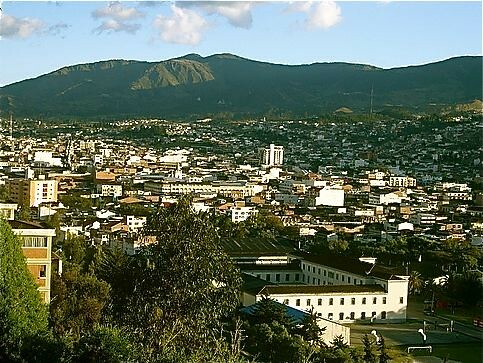 The city of Loja is located in the south of Ecuador at 6,200 feet above sea level in the Cuxibamba valley. This is a fairly accurate description of the lovely city of Loja. There are approximately 150,000 people living in this wonderful city. Because of its relative small size, almost everything is within walking distance. Cars are more a luxury than a real need. Taxis like in most Ecuadorean cities are always available and the rate almost any place around the city is $1 US. Incredible! Surrounded by magnificent mountains and two rivers, the city of Loja is considered the Music Capital of Ecuador. Culture has always been a very important factor in the life of its citizens. Loja has beautiful churches, museums, two universities, the oldest highs school in Ecuador was founded in Loja. The music conservatory has produced some of the most acclaimed musicians in Ecuador. On weekends, the city comes alive with live music and dance in its many cafes and bars. For the last 20 years, Loja has been the pioneer city in Ecuador when it comes to protecting the environment. Loja’s Municipality has a recycling program that has been copied by other cities in Ecuador and South America. 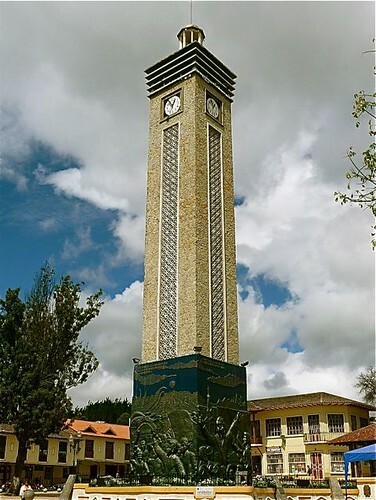 Loja is the cleanest city in Ecuador and it was designated “Ciudad Ecologica” and received international awards for its commitment to environmental protection. Safety is a major concern for foreigners looking to retire in a foreign country. Crime rate in Loja is extremely low. 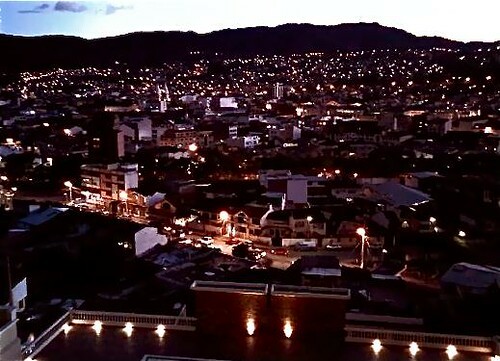 Citizens in Loja feel safe walking around the city day and night. With more than ten private clinics, and two large hospitals, Loja offers first class medical facilities. Needless to say, medical expenses in Ecuador are extremely affordable. 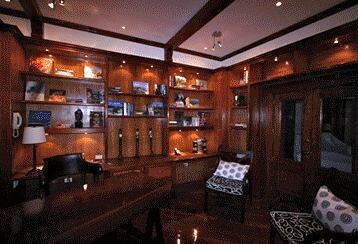 As an example, an appendectomy and three nights at the best private clinic in Loja in a private room costs $1,100 US. The same procedure and the same accommodations at a medical facility in the United States will be above $12,000 dollars. Many doctors in the city are educated abroad. Loja’s private clinics offer the latest equipment and technology to treat almost every medical condition. Moving to Loja and staying in contact with relatives and friends abroad is easy. Loja offers excellent internet and telephone services. You can also have access to Cable and Satellite TV with a variety of international TV stations. Loja has plenty of stores with all sorts of merchandise and supplies. Supermarkets are very well stocked with American and European brands. The green markets offer fresh produce at incredibly low prices. You can walk to the markets and buy fresh products every day. Or if you prefer, you can have your maid do it for you. Labor is extremely affordable in Loja and most of Ecuador. Having a maid is not a luxury while living in Ecuador. For $200 to $300 a month you can have a person come to your home to cook and clean five or six days a week. People are friendly and the majority of the young generation of citizens in Loja speak some English. People in Loja feel good about foreigners and are always willing to help when needed. After all these positive remarks about Loja you must be wondering about real estate prices. Loja offers a variety of properties for every budget. There are many new condos and town houses as well as beautiful colonial homes that can be restored. Prices are very low compared with other cities in Ecuador. As an example, a brand new two bedroom condominium can cost between $40,000 and $60,000 depending on the type of building and how close you are to downtown. A three bedroom apartment could cost between $50 and $80,000. A luxury penthouse apartment with five bedrooms, 5 ½ baths, two terraces, two parking spaces, a large storage room, two living rooms, dining room, laundry room, kitchen and a bar is offered at $250,000. Finally, with a fantastic mild weather all year round, there is no need for heat or air conditioning. You will not find one single house with heaters or AC units. It never gets too cold or too hot. During the day you can wear light shirts and t-shirts and at night a light sweater or a comfortable jacket and you will be fine. Loja enjoys a temperate spring-like climate all year long. Temperatures fluctuate between 16° C (60° F) and 21° C (70° F), with an average daily temperature of 17° C (63° F). Photo of Independence Square also known as San Sebastian in Loja shown at Travelpod.com. Read an in depth Loja Guide and see how you can receive a 20% discount on villa rentals in Loja Ecuador here. Join Merri, me, my webmaster to learn more on developing an internet business and more Feb. 11-14 at our International Investing & Internet Business seminar, in Mt. Dora. You can also join our group and travel to Ecuador after the Mt. Dora seminar. Cheap Ecuador air fares make it less expensive to get to Ecuador than ever before… plus there is still time to enjoy great Ecuador tour savings at a discount. Monthly payments can now be made to attend our Ecuador tours. See below. Join the International Club and start attending our seminars and tours in February. Along with cheap Ecuador air fares there are really incredible Ecuador tour savings if you plan to attend six seminars or tours any time in all of 2010. Our 2010 International Club membership allows you and a guest to attend as many of the 51 courses and tours we’ll sponsor and conduct in 2010 (fees would be $38,452 for all these courses individually). The 2009 club fee was only $2,999. Because we have added four extra south Ecuador beach tours, the 2010, International Club fee rises from our 2009 enrollment to $3,500 on January 25th 2010. Enroll in the International Club now at the original fee of $2,999. Save $501. International Club 2010 monthly payments. Attend our 52 investment, business, Spanish, real estate and export, courses and tours in 2010 with one small enrollment fee of $2,999. Because holiday expenses often tighten the winter cash flow, you can enroll with three monthly payments… $1,025 in January… $1,025 in February and $1,025 in March 2010. Here are the 51 courses and tours you can attend free. Plus there is even one more savings you will see below. I invite you to be a member of the International Club which allows you and your guest of your choice to attend all of these courses which are valued at $38,452! Here is an advertisement for an Ecuador Luxury Villa for rent (or sale) in Loja Ecuador. 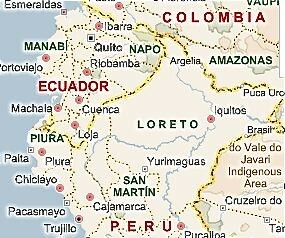 One of the first cities Merri and I ever visited in Ecuador was Loja, the capital of Loja Province and Loja Canton. We never had a chance to visit this small town again in the last half dozen years (population about 200,000) which has been to our regret. Loja has a lot to offer… but gringos seem to have missed this. And also we can just imagine how much things have changed and progressed there. Loja is in the south of Ecuador and is gateway to Vilcabamba and several other valleys of longevity. Vilcabamba has blossomed along with Quito, Cuenca, Imbaura province and Manabi on the coast… but I have not heard much about Loja. This makes me suspect that this is a great missed opportunity because with Peru near to the south, Loja is rich in tradition, arts, music and hosts two major Ecuador universities. Loja is also at a lower altitude the Quito, Cuenca and Cotacachi at about 6800 ft. Plus its climate is somewhat milder 64 to 90 degrees F.
Loja is very civilized, was the first city in Ecuador with electricity, yet is near the Cuxibamba valley, Amazon Basin, Peruvian sechura and Podocarpus National Park, which is a huge cloud-forest reserve near Loja. Two rivers, the Rio Zamora and Rio Malacatos are in Loja. So I was happy when Dario Espinosa at javier200@hotmail.com sent this advertisement for a rental (and/or sale) in Loja to me. 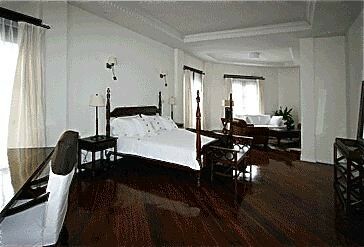 Villa Serena is a large, well furnished luxury home with six bedrooms and suites. All rooms have high-tech LCD TVs, DVD players, safes and iPod docking stations. All beds are either king or queen size and in all cases, are fitted with comfortable mattresses with high thread count cotton sheets. Villa Serena can accommodate twelve guests (five couples and two singles with three additional daybeds available for children or single guests). 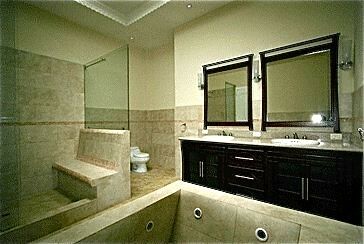 Each bathroom is utterly unique and several bathrooms have a Jacuzzi as well as shower. Villa Serena offers style, every modern convenience but is steeped in colonial charm. The villa is built around a magnificent courtyard with a fountain and wide corridors. 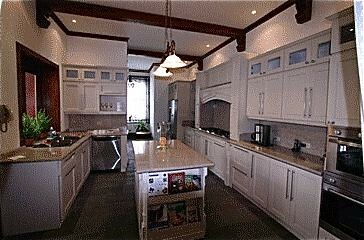 There is also a top-of-the-line kitchen with all modern appliances. There is a formal dining room, bar and comfortable outdoor and indoor seating areas, a three-car garage. There is another reason to visit Loja beyond just getting to know and looking for value in this city. As mentioned Loja is the gateway to Vilcabamba… which has become popular as a valley of longevity where many expats have settled. There are several other longevity valleys near Loja that are stunning and have always been even less in cost and less crowded. Jungilla is idyllic…like a Swiss mountain valley covered in Irish emerald green. Explosions of white pampas grass line the road and swaths of forest and cotton wool clouds cover the broad valley floor. Waterfalls spring from the hillsides crashing hundreds of feet. Here, one 30-acre farm with a brand-new, 3-bedroom house had an asking price of only $25,000. Another 3-bedroom house with a central patio (and a tractor) was $30,000. I suspect that prices are higher now, but bargains there will still abound. Those who are interested in Vilcabamba but also looking for new places with extraordinary value may want to research and search these other valleys at the same time you go look at Loja. Loja is the perfect stepping off point for such a venture… a place where you can enjoy the luxury of Villa Serena as you find value in Ecuador real estate as well! Join Merri me and Thomas Fischer of JGAM and our webmaster David Cross in North Carolina this October and enroll in our emailed course on how to have a web business free. Save $299. Learn more about global investing, how to have an international business and early retirement in Ecuador at the course.